We love all sorts of winter crafts, activities, and sensory play to keep kids busy when the days are cold and drab! 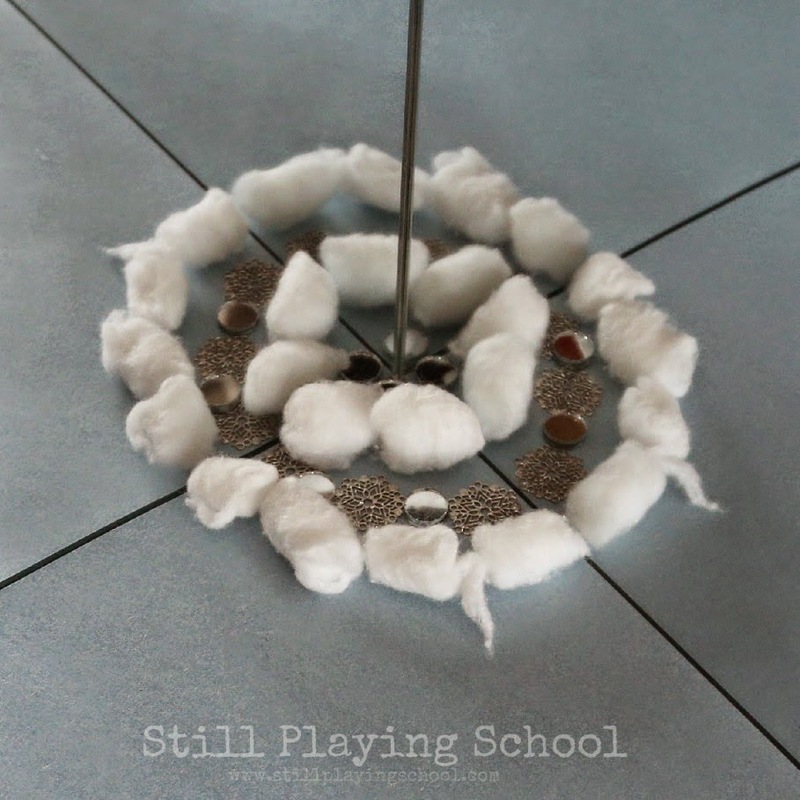 Here are wintry play ideas that all use cotton balls in some way. Each week for Share It Saturday I choose a theme based on my favorite posts shared in last week's link up! This week I decided to feature wintry ideas for kids that use cotton! 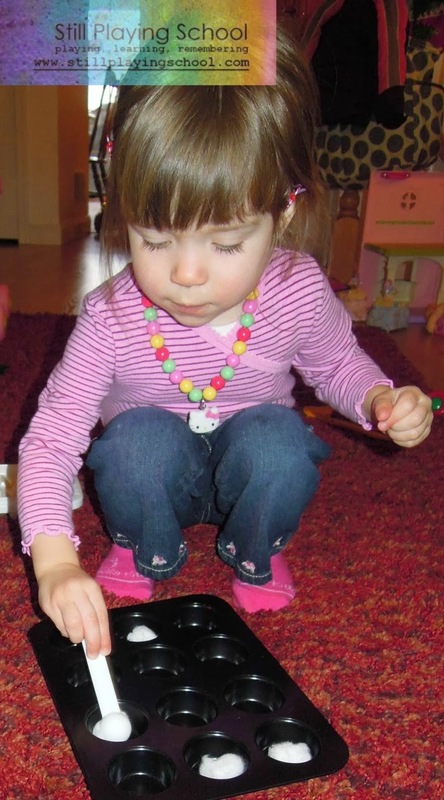 Our "snowball" cotton ball fine motor scoop was one of our very first posts when E was two! An adorable penguin sensory bin uses cotton as a filler from Adventures of Adam. Fun-A-Day! 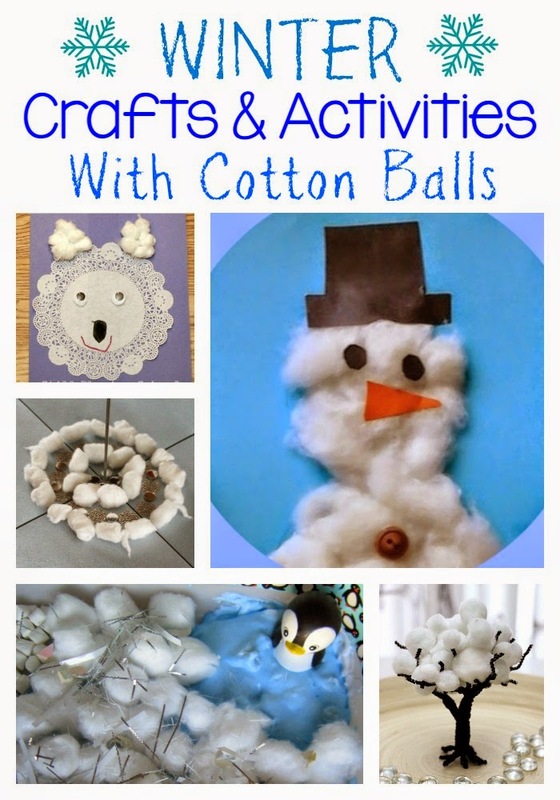 presents cotton balls as a fine motor based winter preschool math activity. Play Trains! created whimsical winter trees for small world play! Thanks for linking up to last week's Share It Saturday! Our winter mirror box play included cotton and other wintry loose parts. We need to try our toddler snowman abstract art again now with our toddler D.
Welcome to Mommyland has a fabulous collection of Montessori inspired winter work including cotton ball snowball sweeping! Thanks for linking up to last week's Share It Saturday! Our preschooler used cotton in her polar habitat landscape diorama. We used cotton for the ears of our doily polar bear craft. An arctic small world from Fun-A-Day! included cotton balls as part of the sensory play fun! Sand In My Toes has a lovely textured snowman art project. 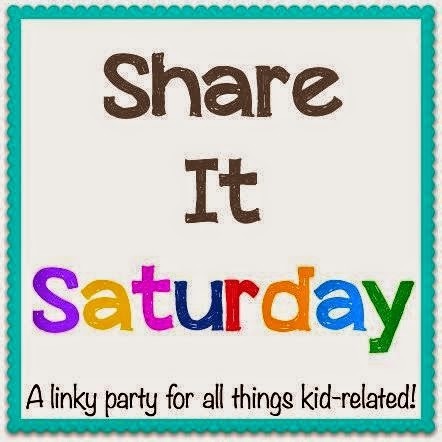 Don't forget to follow along on our Share it Saturday Pinterest Board. 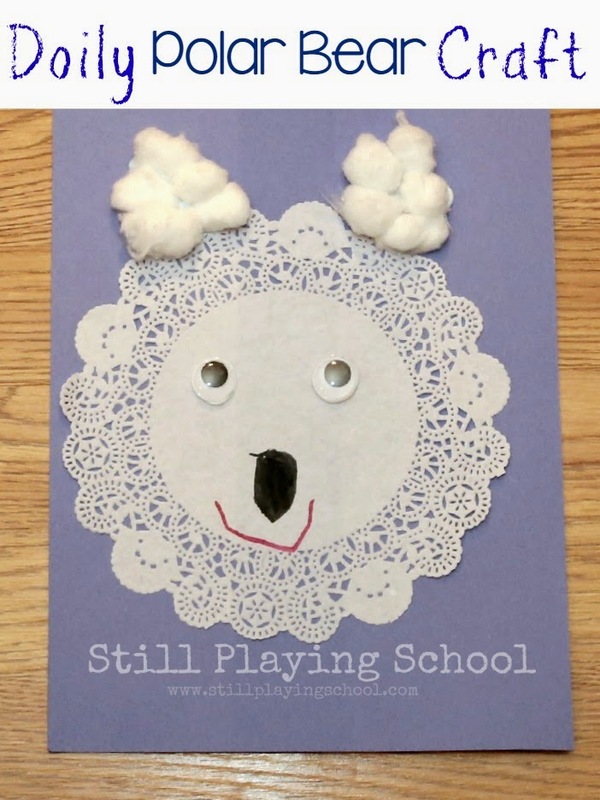 Follow Still Playing School's board Winter on Pinterest. doily polar bear is so cute!